High speed network provider Clearwire is planning on making a huge change to its network, eventually switching from WiMax to Long Term Evolution (LTE). 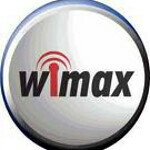 Clearwire COO Erik Prusch said, "WiMax to date has been a very good technology choice for us. We were able to take advantage of the speed to market before LTE was even a glimmer in anyone's eye. But we recognize the ecosystem in the U.S. will be larger for LTE than WiMax, so we are conscious of that. We don't believe that customers buy a technology. They buy fast and reliable access to a data network." Despite the comments, Prusch said that not only wasn't there a timeline in place to make the switch, Clearwire is not 100% committed yet to dumping WiMax in favor of LTE. The reason is that LTE must mature first before the financially strapped firm makes the change. In the meantime, trials have been conducted by Clearwire of Long Term Evolution. One major problem is that Clearwire has enough money in the till to support only about 1 year of business. Despite picking up $1 billion from Sprint, the only one of the top 4 major U.S. mobile carriers to use Clearwire's WiMax for 4G service, Prusch says that the company needs more money. "We do need additional funding to continue to extend our network," he said. "And we're bullish about being able to secure that funding either in by relying on our strategic investors or through new investors. We also think we can grow revenue organically by growing our revenue and becoming profitable." In other shocking news, the world is in fact not flat. Clear is slightly more than a day late and a dollar short on this one. They should have started this ASAP instead of investing in clear buses to drive around cities. To their credit, I think Clearwire and Sprint thought if they jumped out the gate with a 4G technology then other companies would abandon their LTE prospects and join on. And they had some awesome backers. Comcast, Time Warner Cable, Intel, Google, and Bright House Networks were all supporting them. But the other carriers stuck with LTE. Basically, Sprint and Clearwire threw an awesome party, but no one wanted to hang out with Sprint and the others threw their own party. Clearwire and Sprint will eventually know there are more people next door and will join the bigger party late... LTE isn't necessarily a better technology, it just has more support than WiMAX. There will be larger breakthroughs in the technology itself leading to faster speeds beyond LTE-Advanced. Myabe they will get more investors now that they plan on switching to LTE. I think that this would also mean that Sprint will be launching LTE in the future, considering how Clear is currently runnig WiMax and Sprint's 4G network runs on Clear's WiMax. I just hope that it'll take awhile for them to switch because I just got a 4G phone, paying near full retail, and would like to be able to use it more and more in 4G, Clear is just starting to roll out WiMax where I live. :O! then whats the point for the Evo 3D? Even if both Clear and Sprint commit to LTE tomorrow, it won't be until next year or later before the result can be seen. The EVO3D will have WiMax around for a long time. The hope is that Clear and Sprint can have both LTE and WiMax for a while. This way, it doesn't matter what phone you have. Likely though, Clear will start switching to LTE and financially buckle. Sprint will come in and buy the remaining stock for a song. Next thing you know, Sprint will have it's own LTE network. Thats what they said about IDEN enabled devices. First of all: @bossmt_2- THE WORLD ISN'T FLAT??? Very amusingly put. :-D Secondly, I don't think anyone buying Sprint 4G phones such as the EVO 3D have too much to worry about. Clearwire needs to get a plan in place to switch to LTE, funding secured, Sprint to sign off on it (who may outright own Clearwire by that point, who knows? ), and then implement the change. I would have zero hesitation to grab a device this year. 2012? I might hold off then, but a two year contract ending in 2013 sounds just about right. Clearwire is starting to piss me off. Sprint just gave you $1 billion, bring your damn 4G services to Indy ! Sprint has begun the rollout in Indy. I don't think it's official until June, but 4g can be found all over Indiana. I tapped into 4g near Castleton today and got 5mb down with no bars. Sweet! "...not only wasn't there a timeline in place to make the switch, Clearwire is not 100% committed yet to dumping WiMax in favor of LTE." -- That would be because they don't have any money so it's meaningless to even think about it. Their operating margin is -300%, their profit margin is -90%, and their debt is 4x their market cap. Their return on equity is -43% and their net income has never been in the black. They're beyond start up pains now. They're in serious trouble. I wouldn't look for any type of LTE transition anytime soon. They're barely able to keep the lights on, never mind swapping out network gear.